Our children's lives must have a purpose. This is something we know in our hearts. The fact that their lives are cut short doesn't change that. This is why the families of those children who were killed in Connecticut speak out, and do it so beautifully. This is why families set up foundations in the names of their children who are missing, or who were killed. It is why we have blogs and facebook pages in our children's names. They were meant to be alive today. They were supposed to sing or dance, act or write, invent or build. They were meant to smile and brighten someone's day. They were meant to draw us cards for Christmas. They were meant to fall in love, get married, have children of their own. When they can't do this, what do we do? We do what we can to keep them alive. 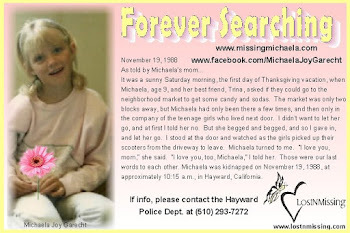 Yes, I have a blog to help find Michaela because as of today she is still missing, but if tomorrow I were to find out she is not alive, I would keep this blog. I would keep her alive as I have kept her alive for 24 years. 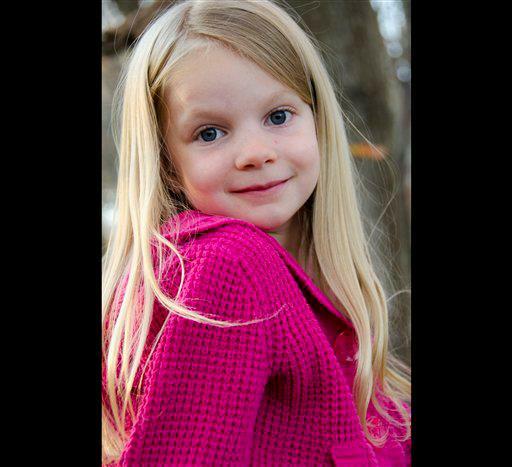 Polly Klaas is no longer a missing child, but her dad keeps Polly alive with his foundation. He lives out Polly's purpose in the world in his own soul, by helping to find other missing children. 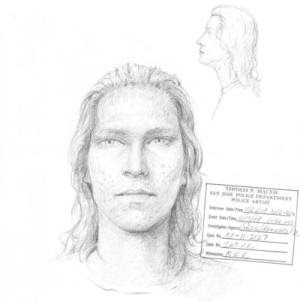 Tricia Seymour is not a missing child. She was killed in a car accident at the age of 17. But her mom maintains a Facebook page in her name, so Tricia's face remains always before the world, always alive in our hearts. Robbie Parker is new to our group, but he stepped out of his grief and did a beautiful job sharing and honoring the life and memory of his daughter, Emilie. Is there anyone who can watch his interview about his daughter without weeping? I don't think so. Is there anyone who can watch this interview without feeling that they know Emilie? She is alive in millions of hearts, not because of what the gunman did to her, but because of her father's words. It is almost impossible to find a purpose that can justify what our children had to endure, or even justify our own pain and grief and loss. And yet without a purpose, it is impossible to endure. I joked to my daughter the other day that my purpose in life is to stand here and make other people feel better about their own lives. With some exceptions, people can look at me and probably feel that their problems could be a lot worse. At the very least, they can say, "Look, she's still walking and talking. If she can do it, then I can do it too." While this observation started out as a joke, there is something valid to it. I know, believe me I know, that sometimes it is hard to just keep on keeping on. It is hard to get out of bed, to stand up, to keep putting one foot in front of the other. Honestly, if I can ever have a hand in helping a single person keep going when they think they can't, that is a worthy purpose. Robbie Parker said we will not let this define us. I think perhaps he is wrong about that. It may not be all I am in life, but losing my daughter in the way I did has definitely defined me, refining me still like silver over the flame. To Emilie, to all those who lost their lives in Connecticut, adults and children ... as Robbie Parker said, to the family of the shooter ... to all who are swallowed up by grief, or by fear ... I wish you love and peace. Very beautiful and touching. I cried watching Emilie's father speaking. I just wish I could reach out and heal the world. There is so much pain that is scares me that I had children in the first place. They have brought so much love and light into my life but I fear that they came into a world with so much darkness will their light and love survive?? I live in fear everyday that something will happen to them and it gets to the point where I shut down and stop full living. I wish this world could be safer. I wish we only had to love our children and stop worrying about them dying or someone hurting them. I wish we were trully free. Sharon, Thank you. I had not seen this video. Watching it did not make me tear up...that happened after I read your words. But as I listed and watched that father's beautiful statement I was overcome with a sense of reverence for the families involved. I now want to avoid every article, post or comment online that makes this political. Sharon, I've never forgotten something you once wrote about Michaela being strong in her faith and maybe making some divine agreement to go through this so some other family who weren't as strong wouldn't have to. That really struck me, and I've tried to apply this philosophy to other situations including something in my own life, and it's given me a great deal of comfort. Now I'm trying to see this shocking tragedy in a similar light. Someone posted on FB this morning that the lost children came to her in a meditation and said their purpose was to open people's eyes so that many more lives would be saved. It made me think that maybe, just maybe, they weren't actually meant to live on to adulthood, as horrendous as that seems. They were here as messengers for the rest of us to wake up and see what we haven't been seeing. I'm still mulling this over, trying to make sense of it, but as you said Polly's story has left an amazing legacy for the world, Amber's story brought the Amber Alert into fruition saving many lives, and Michaela's story has changed us as well. I just wish there didn't have to be such awful suffering in the process, for those who leave us and for those left behind. That is the bit I don't understand. Leanne, I actually never said that. I did say that I thought perhaps Michaela agreed on a soul level to undertake this fate before she came into this world. But it wasn't so that some other family who wasn't as strong wouldn't have to. If this is what happened, I believe it would be in order for Michaela's soul to accomplish something in order to move to the next level, and perhaps for me as well. Just out of curiosity, do you know which Amber is responsible for the Amber alert? There are three missing girls named Amber. 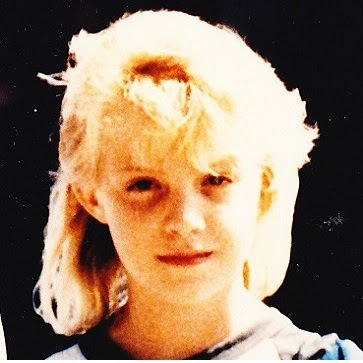 Amber Swartz is the one from the Bay Area, missing in 1988 just like Michaela. Amber Dubois was missing and found murdered in southern California, and her mom now runs a search dog (named Amber). 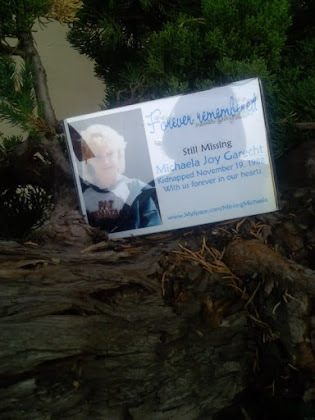 She was the one, in fact, who found Michelle Le, who was missing here in Hayward a couple of years ago. 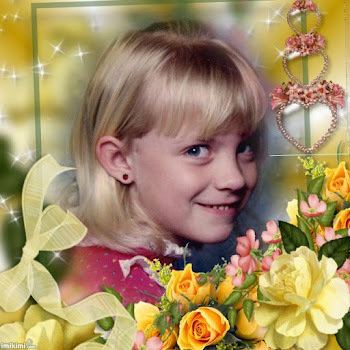 But the Amber Alert was created in memory of Amber Hagerman, who was kidnapped and murdered in Texas in 1996. You may know this, but I'm just asking because most people think it's Amber Swartz. Sharon, sorry I was just trying to remember exactly what you said but it was a long time ago, I thought it was something like that. Yes I knew it was Amber Hagerman, her mother is one of my FB friends. I think a lot people believe the Amber Alert was named after the colour actually, and wonder why it isn't red! I try to avoid this story like it's the plague, not to be rude but because this is just too agonizing. I don't fear these stuff because I could be one of them, I fear these stuff because it could be the people I love. The thought of it having it happen to those special to me is agonizing enough. These children are going to have to live with the fact that they watched their own friends die in cold blood. This story is possibly the most heart-breaking thing I read this year. I know what you mean, Anonymous. I'm also having a hard time processing this event. It feels like a new low for humanity, but I'm not even sure that it is. Maybe it's just a different kind of low, or a low of the same type but a different magnitude. I'm torn between avoiding this story and feeling like I need to reflect on it, to understand it better, but I don't know where to begin. I hope that delivering that speech was therapeutic for Emilie's father. He has a lot of forgiveness in his heart to feel sympathy for the shooter's family. But I don't understand how the shooter got to that point without anyone noticing. Are we that disconnected as a society? As families? On Friday when I picked up my son from kindergarten the teacher warned me not to turn on the radio in the car because of the terrible news. I assured her that I never turn on the news when the kids are in the car because there's always something terrible going on, but when I learned what it was this time, I felt sick. I just don't get it. It's not that I don't understand the shooter - that can probably be explained (not to be confused with justified) from a psychological perspective - I just don't understand how he got to that point without anyone noticing or stopping him. So for that reason, I think I do need to reflect on this. I can't ignore this story, as much as I'd like to. Thanks so much for you kind reply Cindy. It means a lot to me when there's someone out there who can comfort the agony I feel for these strangers and relate to on some level. I don't know what it's like to be a parent to be honest, but I do feel for the children who watched their friends get shot. They're Christmas is going to be ruined with the agony of seeing their friends get killed The picture of Emily is closet I've ever gotten to crying over an innocent picture of a little girl. I had a dream where my best friend died and it was the most agonizing dream I could ever have. Maybe God made this happen for kids like Emily because he needs more angels in heaven. Cindy, read this article. Perhaps it will help. Thanks, Sharon. I can certainly sympathize with the families of mentally ill children, and with the mentally ill themselves, although that's difficult to do in this case. And I agree that further mental health resources and support are required. I guess when someone is socially isolated the escalation of their symptoms can go unnoticed, and maybe the ability to be socially isolated in our society is part of the problem. 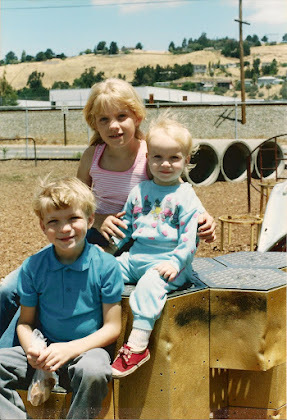 It takes a village to raise a child, and for most people, those villages don't really exist. This gunman was angry at the world. He had a Personality Disorder that escalated to the point he narrowed in on the most innocent and took his aggressions out on them. He took 20 innocent lives,20 futures,20 lights in the eyes of those who loved them,and 6 heroes who were trying to protect them. That included a principal who ran toward the gun shots to try to save her children,teachers who shielded,with their own bodies,children from danger,and his own unsuspecting mother. This tragedy has touched me like no other. I can't see any reason for it and my heart cries every time I think about it. I hope if anything comes out of this its change. Something has to. I understand and there is no excuse. However, you do not know what was going on with the gunman, or what horrors of mental illness he may have lived with. 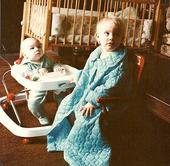 From what I've heard he had problems from childhood, and his mother tried very hard to help him with them. Truthfully,I care not to understand or fathom what he may have been struggling with or was going through. I've heard she did try to help him;however,there was also a stockpile of guns registered to her,which he had in his possession at the school. So why would she have guns around a son who had such a mental disability? I'm not blaming her. The only one responsible for this horrible act was that young man. And the only one to judge him is God. You are absolutely right. The only one to judge him is God. However, if we as a society cared to fathom what he was struggling with and actually DID something about it, perhaps it might prevent these things in the future. I understand your anger, but remember the saying: "Holding onto anger is like drinking poison and expecting the other person to die." Sharon, you sound like someone who has fought the demon called anger and won. That's quite a feat given what you've been through. p.s. I keep posting these days because I'm anxiously awaiting news about Michaela and keep checking your blog. I so hope the test comes up negative, and that you find one another one day. Haha, well, not really. Maybe I'm just in denial. Keep posting, Cindy. You can keep me company in the waiting. Will do, Sharon. I may have said this before, but I think you're doing a great job of keeping Michaela on people's minds by writing this blog. To be honest, I had never heard about Michaela's case until recently , when I read an article about her in the news in relation to this bone fragment. (I don't live in the U.S.) From there, I learned about your blog and was immediately touched by your personal experience. You're a good mother. It must be very difficult to watch the world keep turning when your little girl is missing. I'm hoping for a holiday miracle for you. I've been struggling with believing this whole situation. There are those still in the process of healing after the Aurora shooting, and now this. It's heartbreaking. But, it's also given me new resolve. I'm going into the field of psychology so I can help people before they get to the point these shooters came to. I want to be one of the people who stops these things from happening. It may seem an impractical and naive dream, but I will pursue it nonetheless. Not naive and impractical at all Ceara! Clinical sychology is very practical and although I don't know anything about your situation, I'll bet it's a totally achievable goal for you. Go for it!! I think Ceara was thinking it might seem impractical and naive to think that she might be able to help people so that these things don't happen. And, Ceara, that is one really difficult task. But it's a worthwhile one. I hope and pray you succeed. Oh...I see. Yeah, well, one day at a time, one person at a time, I guess. Best wishes, Ceara. I've hesitated to ask this question up to this point, but I was wondering, what are the chances that the results of these tests will be conclusive, i.e. that you will know with certainty that the bone is or is not Michaela's? I am told that the results will be conclusive. In fact, my understanding is that they will know who it is, assuming it is a missing child in the database, even if it is not Michaela. But don't they have compare the testresults with the mothers in order to know? On mitokondrie-level? Do you think you will have an answer before 2013? 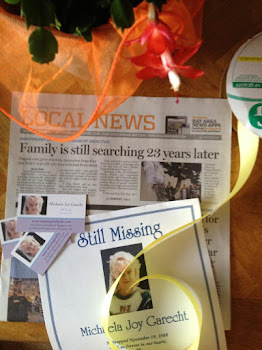 Most of us with missing children have mitochondrial DNA on file already. They took it years ago and put it in the database. I didn't need to give it again for this testing. okey! Then I understand! Oh how i wish for news soon, and "good" ones.. If you read through my blog for the last couple of months you will know everything I could tell you about the bone. I am assuming that next week we will learn whose it is. Do know the gender of it? Oops sorry, I commented on the wrong question. Sorry ... I was trying to do it from my phone. Wow people read back already!!! I wonder how the real killer would have known where the well was? I dont think anyone knew until Shermantine told the authorities. Very odd. I've never seem anybody post things along these lines on here before. What the heck kind of questions are these and whose asking them??? I agree Diana. I don't even understand the question myself. I think he means someone else put her on the well as well the herzog/shetmantine guys going that the bland would be put on them instead of the "real" killer the thing is since no one knows who the killer is why would they use "real" killer in the message no one has been found guilty yet. Very weird question. Diddo! And how would they know where the well was way back then, unless they were involved in what the "Freaks" were doing. IT ALSO MAKES IT SOUND LIKE HE KNOWS WHO HER "REAL" KILLER IS, POSSIBLY HIM? And I hope these replies can be tracked somehow! Actually they can't be tracked. That's one of the advantages of posting on this blog. You can feel free to give information and it will be anonymous. But you are right, I don't think anybody would have known where the well was except for Shermantine and Herzog, and once its location was revealed I think it was probably too heavily guarded for anybody to toss in some remains from somewhere else. I think every one is really on edge and not knowing who this third person is makes people suspicious. The waiting is hard because we all care about and empathize with what Sharon is going through. We all say things at times that don't come out like we intended. Hopefully there are answers to a lot of questions soon. I'm not really familiar with the third person, although I heard about it from someone else today. Honestly, I am just so exhausted I don't even try to keep up with all of the possibilities. I am waiting for the police to tell me if this is Michaela's bone. If it is, I will wait for them to tell me what happened to her. I do know that they have been working very hard on his lead, have talked to lots and lots of people, and if this is Michaela they will find out who is responsible. To me ... well, I want to find my daughter and bring her home, whether she is alive or whether she is not. All other questions are secondary. Revenge is not what I seek, and "justice" -- well, that's a complicated issue. If this bone is Michaela's, the first question of "justice" will be why did it take another family getting a second opinion on what the sheriff's department did in order to discover that this bone is Michaela's, and more importantly, where is the rest of her? As far as the person responsible goes, there is no justice possible. The only real justice would be rewinding to November 19, 1988, and having Michaela come home safely from the market. Wishing you and your family a Merry Christmas today. Hope many blessings and good things are sent to you in the new year.